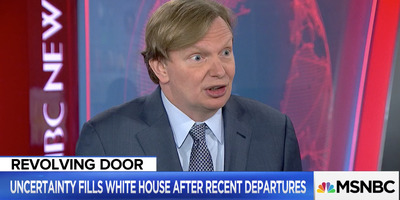 MSNBCFormer White House deputy chief of staff Jim Messina. Trump nominated US Navy Rear Adm. Ronny Jackson to be his next Veterans Affairs secretary on Wednesday. Although he spoke highly of Jackson’s character, Messina said the doctor is unqualified to lead the US’s second-largest federal agency. A former Obama official railed against President Donald Trump’s decision to nominate US Navy Rear Adm. Ronny Jackson as Veterans Affairs secretary by offering an analogy that illustrated how he believes Jackson is unqualified for the job. Despite Messina’s criticism of Jackson, he spoke highly of the doctor’s character. 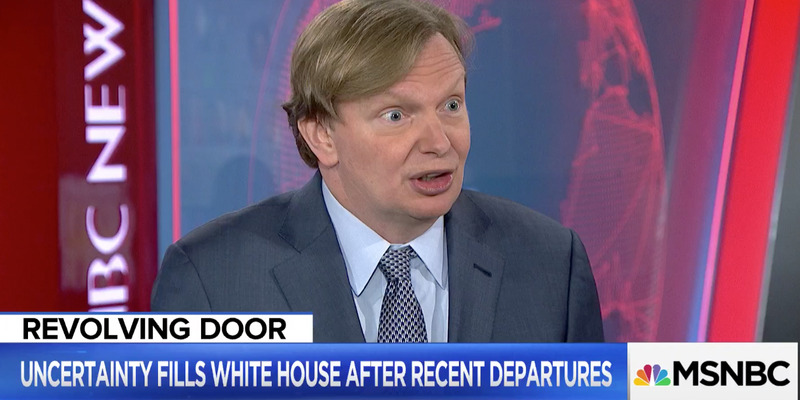 “I mean, there was this great guy who was my doctor when I was in the White House who was the nicest guy, wouldn’t hurt anyone’s feelings, was always kind of a great guy, you know, just kind of hanging around,” Messina said. Other former officials echoed Messina’s assessment. The VA is the second-largest federal agency that provides healthcare, educational benefits, home loans, and other services to millions of US service members. On Wednesday, Jackson was nominated to replace Sec. David Shulkin, who was mired in internal scandals.